The Conspirators of Pleasure (Poulomi Desai and Simon Underwood) perform at The Resound Sound Art Festival in Penzance on June 2013. 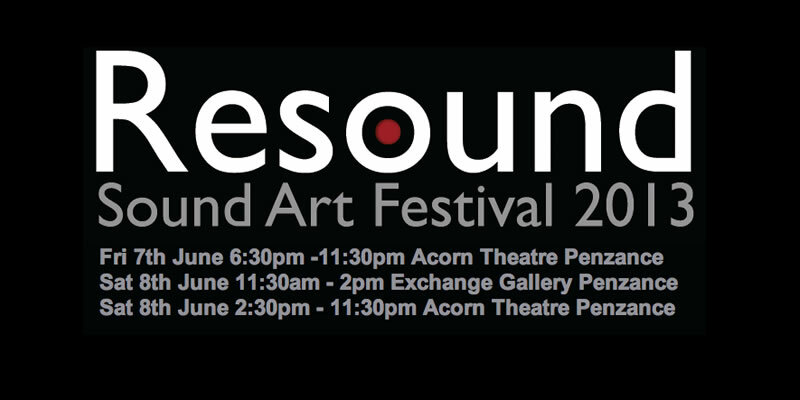 The Resound Art Festival was organised by CAZ Arts in Penzance, Cornwall over the weekend of 7th & 8th June 2013. Resound also featured films and performances by Mikhail Karikas, Ken Turner & The Levenshulme Bicycle Orchestra, Nigel Ayers, Matt Davis, Neil Rose, Wardenclyffe, DJ Luke Richards, Alice Kemp, Martin Pease, Lucy Dafwyn, Timothy Crowley, Heather Warren Crow, Caroline Wilkins, Tango Schumann, James King, Nigel Bispham & Delpha Hudson & Robin Simpson, Rob Curgenven & Kathleen McDowell, SONVA, Tif Robinette, Dom & Passman, Simon Coates and Zahra Jewanjee, and Anat Ben-David.